As we move through June, we all are getting outside to enjoy our lawn and landscaping for those Father's Day picnics and graduation parties. For the most part, area lawns are coming along nicely and have rebounded from the cold start to the season. 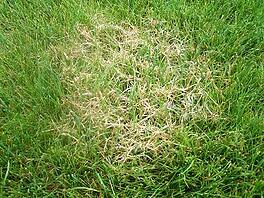 However, Cleveland and Columbus residents are now noticing patches of tannish-red areas in their lawns. 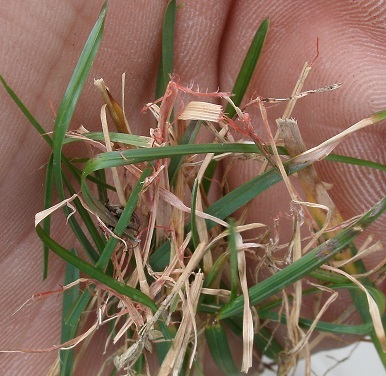 In today's blog, we'll take a look at the lawn disease Red Thread, explaining what causes this fungus, how you can spot it, and what you can do to treat it. During June, we often see the return of warm days followed by cool evenings in both Cleveland and Columbus that can cause the right conditions for red thread to invade your lawn. The warm days and the cool nights with moisture can cause favorable conditions for fungi to grow throughout your lawn. Red thread often appears in lawns that are affected by drought stress, making it vulnerable to disease. Fixes: Fungicide to suppress growth, aeration and soil modification, proper watering schedule. Spotting and treating red thread is not as easy as it seems. 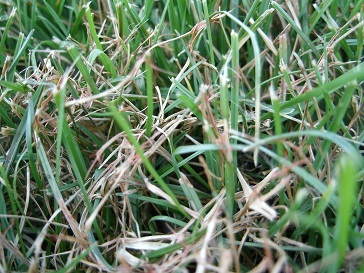 Often lawn care companies fail to recognize the fungus, or worse, simply ignore the deeper warning signs that may be associated with the disease. This is why it's important to hire a licensed and trained lawn care professional who can not only identify the problem, but also create a care plan to eliminate the fungus and keep it from coming back. That's why we have put together the Ultimate Lawn Care Hiring Guide and made it available to download absolutely free by clicking on the button below.